I'm sad this Veterans Day, but not for the usual reason. Yes, I get emotional every year when I think about my friends in Vietnam who died fighting that dirty war. 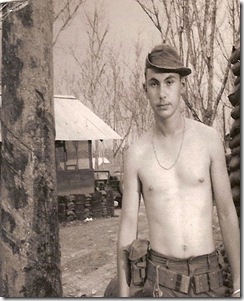 I was 19 during my Tour of Duty in 1970. Served with 79th Engineer Brigade, 31st Engineer Battalion, B Company. As a combat engineer I specialized in demolition - spending most of my time mine sweeping muddy roads to make them safe for our troops. I'm proud to be an American. But today, it's a little harder to be proud because our liar in chief once again embarrassed America before every country in the world. His mission was short and should have been simple. Attend ceremonies celebrating the end of WW I, and say a few patriotic things about our allies. He couldn't do it. Instead, the moment he arrived in France he insulted their leader in a twitter attack. It got worse after he got off the plane. He was supposed to visit the burial grounds for some of the 117,000 Americans who died in the war. Ceremonies were held at the Aisne-Marne American cemetery, near the Battle of Belleau Wood. He didn't go because of bad weather! That's a damn outrage! Those men and women buried there fought and died in the mud and rain. Instead our draft dodger in charge sent a flunky. Today, Cadet Bonespurs will be delivering remarks from Suresnes American Cemetery. I'm hoping he won't embarrass me, and the country, one more time. At What Point Will 'Baby Trump' Explode?